People are spiritually hungry at San Diego State University! This has always been our suspicion but it has been confirmed over and over again this semester. I remember sitting with our staff team during a pioneering boot camp just weeks before we officially launched on campus last August (what a crazy first 7 months!). Our task? 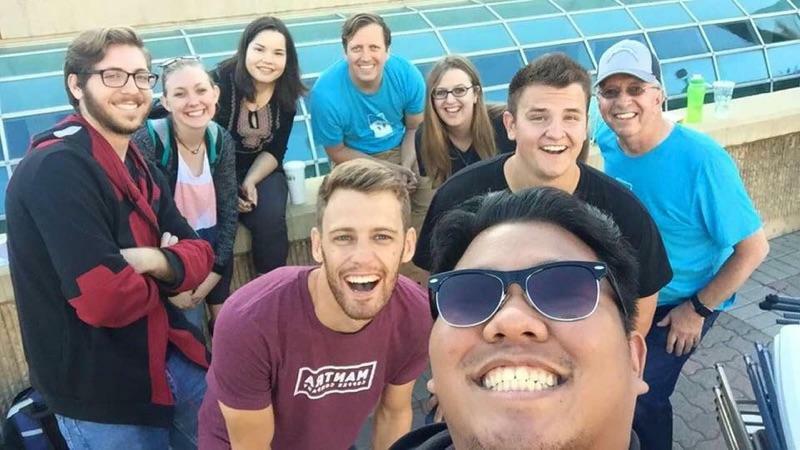 To identify what the array of SDSU students looked like and which ones in particular God was calling us to reach in the beginnings of our ministry. Looking at our campus, the groups other ministries were already reaching on campus, and the makeup of our own staff and current students, we identified the spiritually hungry as those we wanted to target. A lot of ministries were already trying to reach those far from God through cool events and great social times. Our students are artsy, deep thinkers, and live with some angst in life. We decided that to start, these were our people so maybe we could reach some more students in the arts or religious studies department on campus. One student from our last outreach particularly stands out. Jennifer came to the tent, I welcomed her and I remember her introducing herself as a very spiritual person who was eager to hear what we had to say. We were super busy, so while we usually prayed in groups of two she ended up going with one of our staff members, Jeff Ballantyne, to do her spiritual reading off to the side of the tent. I remember hearing from my post at the welcome table that it didn’t sound as if things were going well. Jennifer seemed somewhat skeptical and combative as they talked. I specifically remember her saying “your words are oppressive!” a cry of our relativistic, post-colonial culture. Jeff kept ministering to her by doing a spiritual reading and then sharing the gospel with her after (something we train all our students to do). He then brought in another student to share her story of coming to Christ out of a new age background this past year because Jeff felt her story would be similar to Jennifer’s. These two girls talked and prayed together for two hours, even after we had torn down the tent! Jennifer gave her life to Jesus that day and then that same night she came to a worship night hosted by our students and had a powerful experience with the Holy Spirit. Jennifer is just one story. We have seen one other student give their life to Jesus already through a spiritual readings ten and a number of other students have joined a small group, have been coming to our large group meetings, or been meeting with a student leader or staff one-on-one and are also on the path to following Jesus. There is a spiritual hunger that if we can just show students it can be met in Jesus, we will continue to see a harvest. Happy Easter! We hope you had an amazing time with your family celebrating the death and resurrection of Jesus Christ! 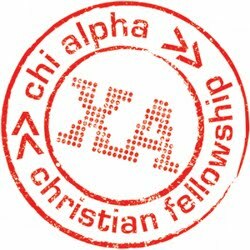 Brandon and Kendra spent a week back in Springfield, MO at the Chi Alpha national ministry center where we received some more training and were officially commissioned as nationally appointed missionaries to our campus. We couldn’t have gotten here without our you on our team! Peyton auditioned for a new musical, Little Mermaid Jr. and is super excited because the part she got gets to where “heely” shoes during the show! Peyton and Amber both made the honor role for the second trimester in a row this year. The girls spent the week up at Kendra’s parents in Los Angeles while we were gone. Needless to say, they were spoiled and had an amazing time! We are taking a group of 20 of us to Mexico this next weekend April 2-3 for an overnight trip. We will be helping a local church plant with a children’s outreach and then ministering in their morning service on Sunday. Pray for safety and many people to come to Jesus. We have a big event on April 11 where we are hosting the author of the Shack, William Paul Young, as well as Ally Arrieta, a Chi Alpha alumnus and singer/songwriter who will be doing special music. Pray for a great turn out and lots of relationships to be built. We are gearing up for a leadership retreat April 22-23 with our 11 prospective student leaders for next year. God has been answering our pray for more workers for the harvest. Pray that we would have an awesome time of training and vision casting. We had a keyboard donated to our ministry! Thanks so much to Christian Youth Theater here in San Diego for passing on to us an awesome keyboard they hadn’t been using in a while!